There are over a million kilometres of road in Canada, but hardly any have gone as far as our third coast — the Arctic Ocean. But that's about to change. You'll soon be able to drive to the top of the world. There are over a million kilometres of road in Canada, but hardly any have gone as far as our third coast — the Arctic Ocean. In November, to coincide with Canada's 150th birthday, it will be possible for the first time in history to drive to the top of Canada's mainland year round. Currently, the only way to cross the Arctic Circle by car in Canada is to head north on the Dempster Highway, which starts near Dawson City, Yukon, and ends in Inuvik, a frontier town of 3,000 people in the Mackenzie River Delta. 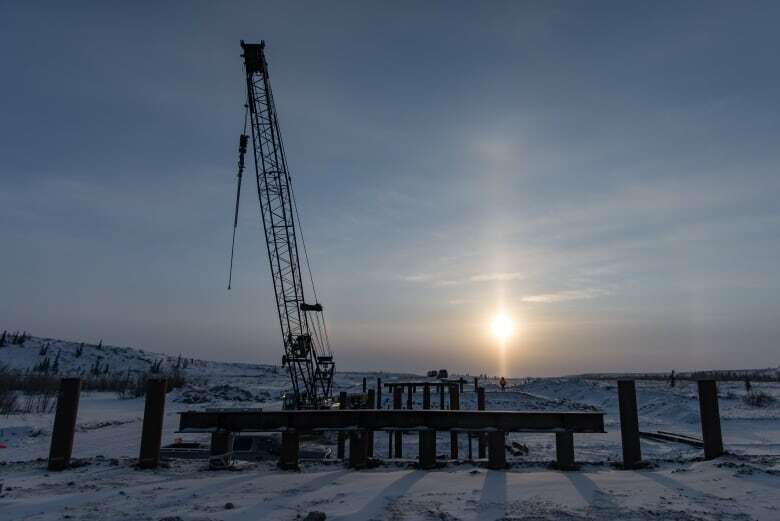 Now, after four years of construction in brutally harsh conditions, the last 137 kilometres connecting Inuvik to Tuktoyaktuk, on the shores of the Beaufort Sea, will finally stitch Canada's coasts together. 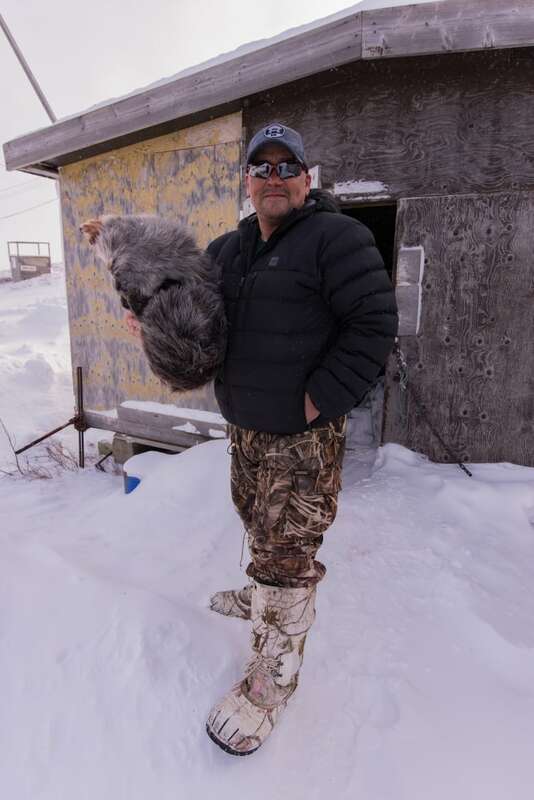 For people in Tuktoyaktuk, like Inuvialuit hunter Robert Gruben, it has been a dream for decades to have a road that reaches them. There is an ice road in the winter months over the Mackenzie River and the Arctic Ocean. 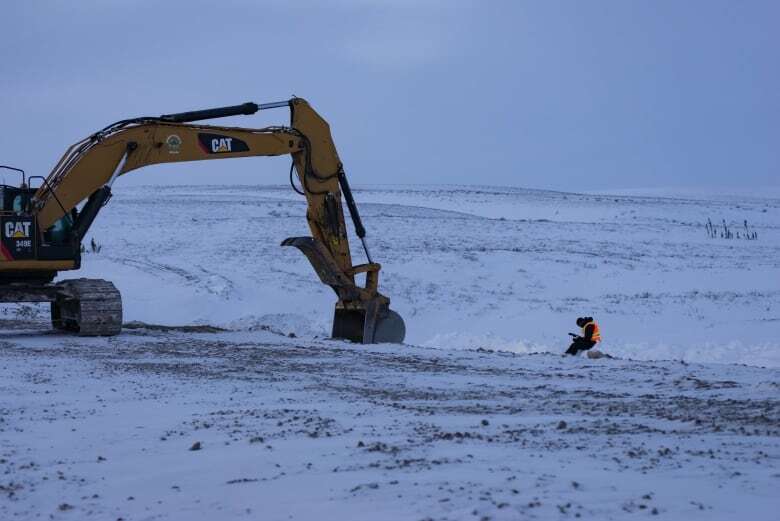 When crews first clear the snow off the ice in December, it's close to a metre thick — enough to support heavy trucks. Snow is an insulator, so when it's removed, the ice thickness can grow to 1.5 metres or more. 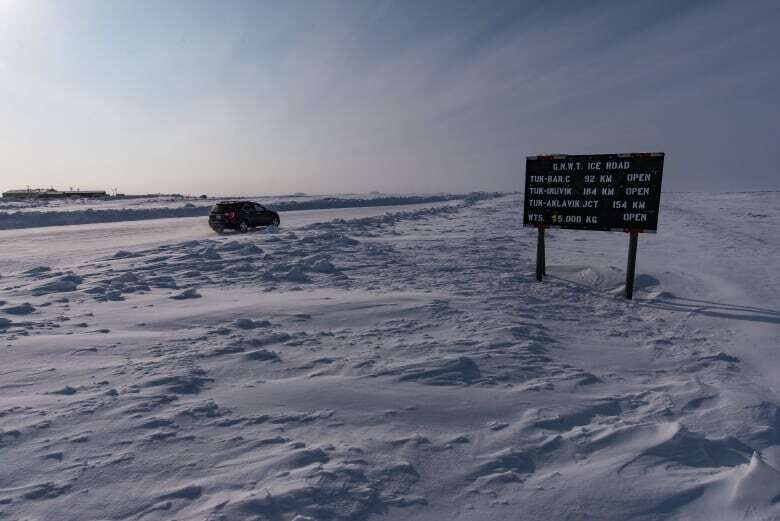 During the winter months, the ice road is a lifeline. It's how goods get into the community, and it allows people the freedom to come and go. Driving on it is much like driving on a normal road in winter. 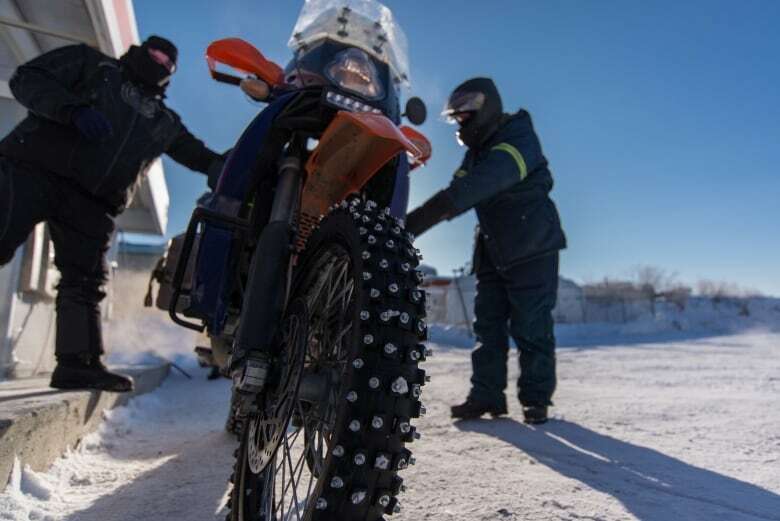 Studded tires allow even motorcyclists to use the road. But that leaves them cut off to all but air travel once the spring arrives. 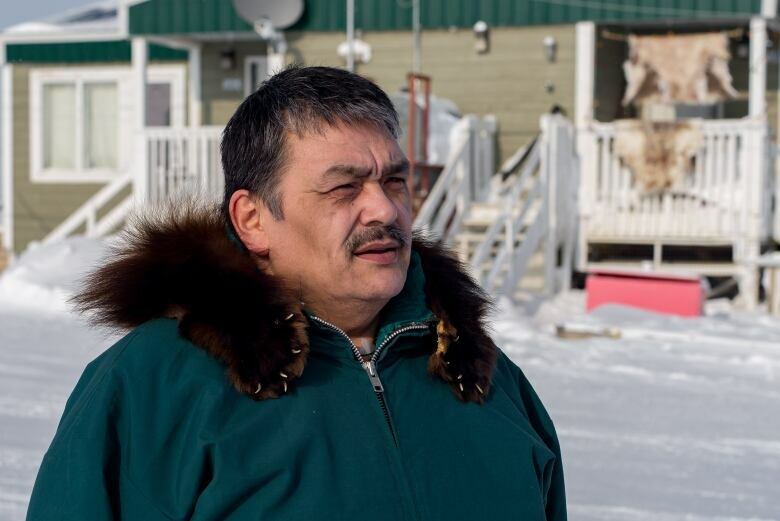 "When the ice road is gone [in the summer and fall], you're isolated, you're stuck again," said Merv Gruben, who was mayor when the government of Stephen Harper handed over the $300 million to build the highway. "So we'll have one more summer of that and then, mid-November, this should be open for business." 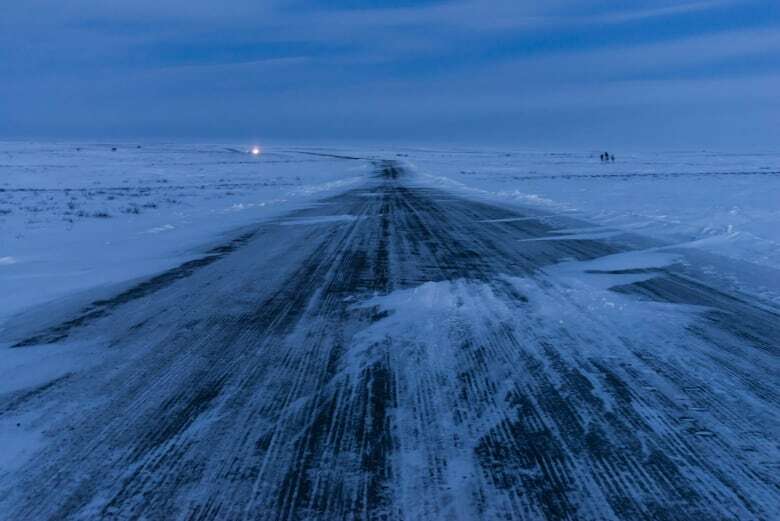 Officially named the Inuvik-Tuktoyaktuk Highway, the new road snakes through a mostly frozen landscape of lakes and rivers, shifting permafrost and stunted spruce trees. The highway has been constructed on a bed of gravel that is two metres thick in places. 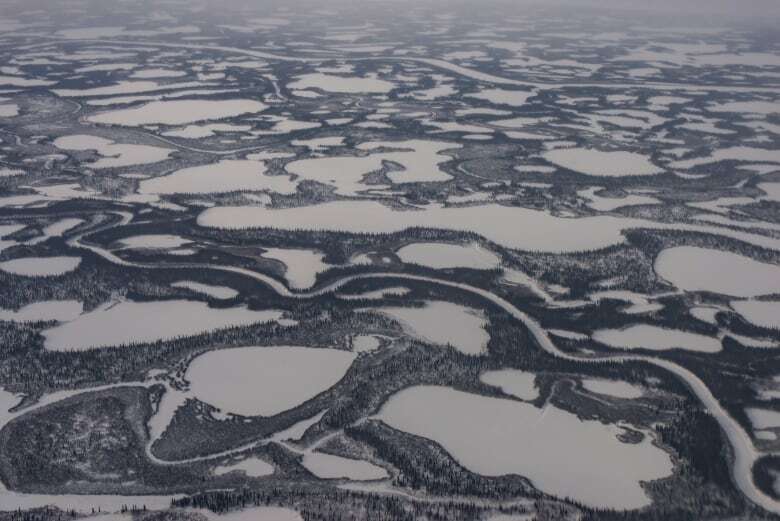 That helps protect the fragile ground underneath, which includes ice, sediment and permafrost. 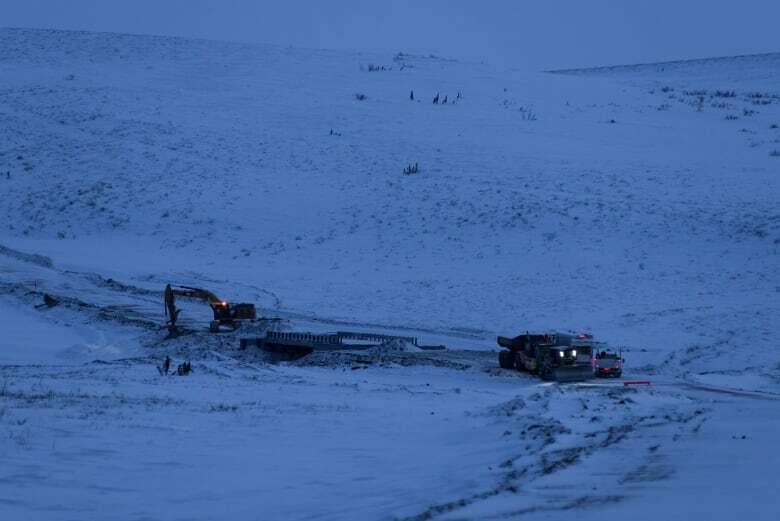 "This project is built on unexplored terrain," said Dean Ahmet, who is in charge of the construction for the NWT government. 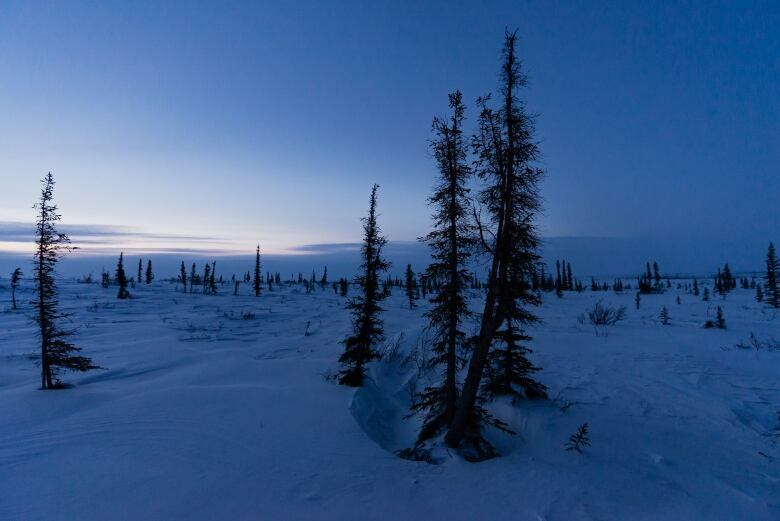 The permafrost goes down hundreds of metres. But every summer, the surface layer melts and moves. As much as 90 per cent of the "ground" is actually water. It is the opposite of a solid foundation. And a nightmare to build on. Construction crews have faced temperatures of -30 degrees and colder, high winds and in the winter months, 24-hour darkness. "In the first three years of construction, we worked 24 hours a day, seven to seven," said Dean Ahmet. At the peak of construction in 2015 and 2016, 430 people, mostly locals, were working on the highway. Because it's so time consuming and expensive to get workers here, most lived in camps not far from the road for weeks or even months at a time. For the sake of efficiency, they work in shifts around the clock. 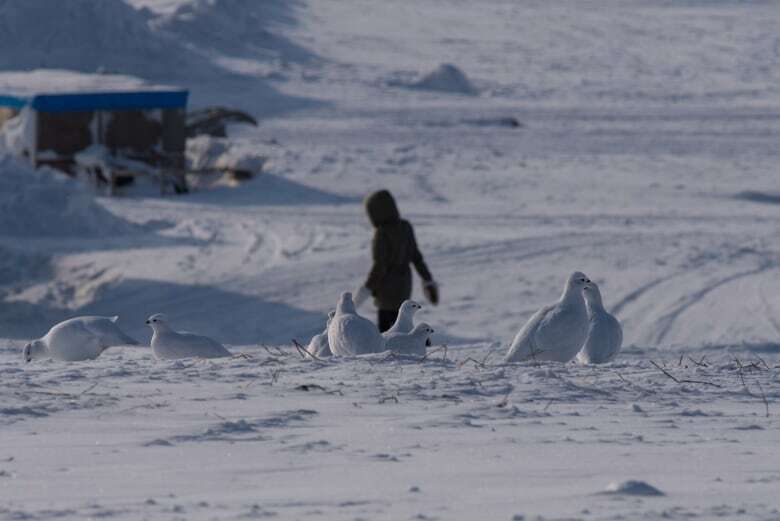 For the 800 or so people of Tuktoyaktuk, the ability to drive there year round will affect their lives directly. "It's going to be so much cheaper with the groceries," said Merv Gruben. "As soon as the ice road is gone, you see your perishables, like your eggs and your vegetables and your fruits, just go crazy because we've got to fly them in. It's a hell of a big difference." Others are hoping for a boost in tourism among adventurous types who might want to dip a toe in the Arctic Ocean. But when getting to "Tuk" is as easy as hopping in the car, it may also have some downsides. Right now, a bootlegged bottle of liquor can sell for hundreds of dollars in Tuk. By later this year, getting that same bottle will be as easy as driving 140 km to Inuvik and buying it in the liquor store at the regular price. 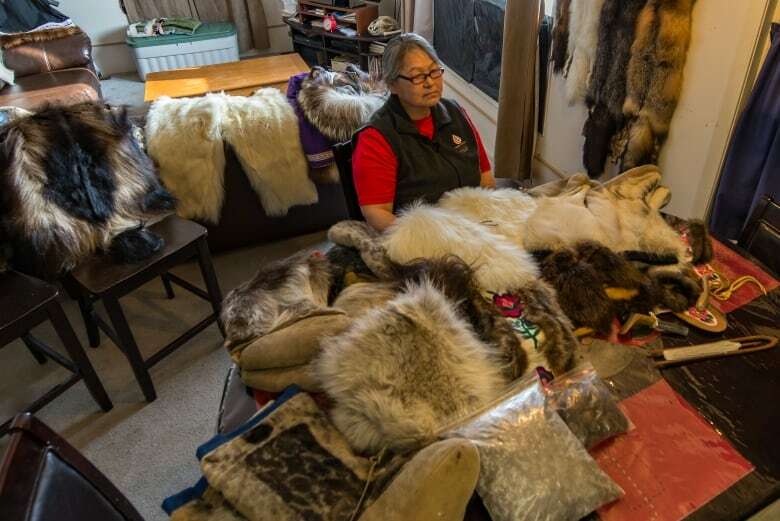 "Anyone with a vehicle can go on the all-weather road, go on a holiday, bring their family especially when school is over and bring more people into the community, people come to visit," said Eileen Jacobson, a local fur trapper. "And whatever comes with the good also comes with the bad. Meaning more booze might come in. More drugs." When the highway was approved, the Harper government saw it as a road to resources and a way to extract oil from the region. But the Trudeau government has now banned such development in the Mackenzie Delta. 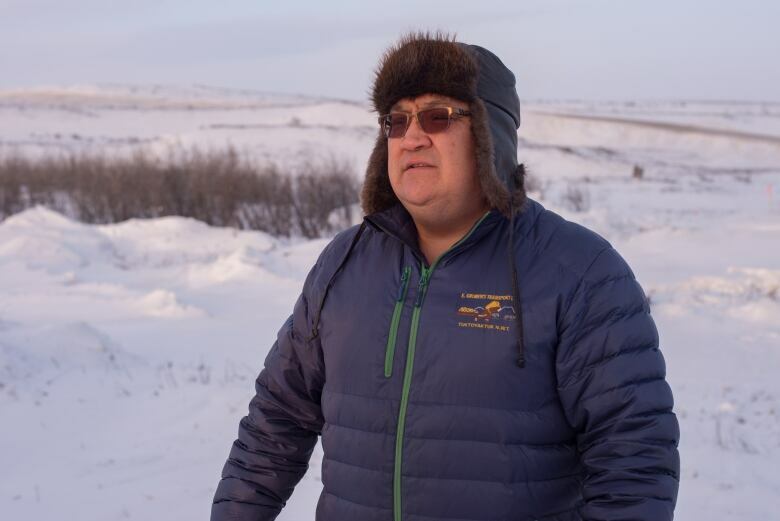 "We're a bit troubled with that," said Tuk's current mayor, Darrel Nasogaluak. He said developing tourism can't be the sole objective, given that it only accounts for three months out of the year. "It's great, but it's not the answer. Unless we get into mining or something else, it's going to be a very difficult time for people up here."